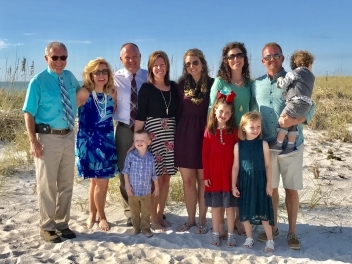 for your family... & friends. 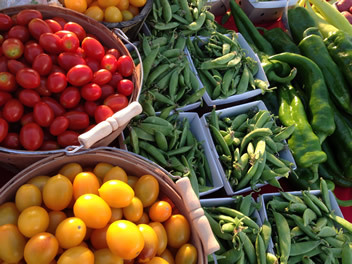 It's a farmer's market delivered to your doorstep. Applications are now open for 2019! 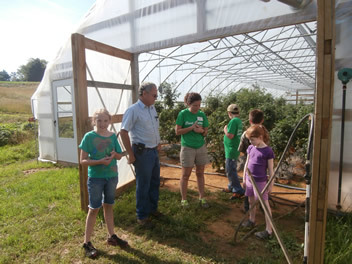 Check out our hands-on farming & learning experience for children and young adults from 7-18 years old. Cecil Farms has raised produce for 30+ years. Gary and Ryan Cecil (father and son) have grown a variety fruits and vegetables on both a commercial and local level. 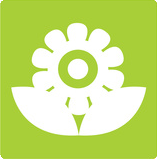 Cecil Farms takes pride and focuses on Sustainable Agricultural practices and meets or exceeds the Global Food Safety Initiative (GFSI) standards. Delivering locally grown Farm Fresh Produce to local HOMES, businesses, restaurants, schools and more in Owensboro, Kentucky and surrounding areas. 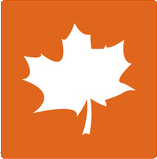 Order a variety box to be delivered on a weekly basis throughout the harvest season (typically May through October), containing a variety of what is in-season. Divide the box with neighbors, family, or co-workers. The variety changes throughout the harvest season. Some weeks there may be more or less of an item, depending on how large the variety is for the week. Remember that the local produce supply can be impacted by less-than-ideal weather conditions, so the choices can vary week to week and year to year. *Savings excludes pricing for extras and add-ons, such as meat, eggs, milk and other items. Inquire for more details. Pay all at once or pay as you go. All seasons available as full share or half share, and you choose whether you want weekly or every other week deliveries. We are Kentucky Proud and use that as our standard for LOCAL. We like to add value to our shares by including produce from other local farms, making this truly a COMMUNITY initiative. "Because of you I can be proud of myself for eating locally. You made it so convenient." "Can't wait until next year!" 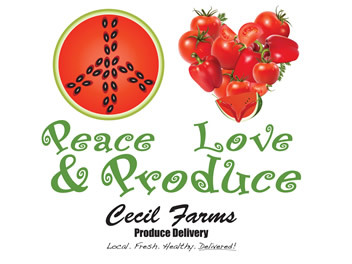 "Every aspect of Cecil Farms Produce Delivery was exceptional." "I appreciate being able to have wonderful farm fresh produce delivered." "Great value for what we paid." "Thanks for being so convenient." "Loved everything about it! Each Week we looked forward to the delivery." "I loved the surprise of getting it each week and always having fresh on hand." "Thanks for the good food!" "Awesome service with awesome variety of awesome veggies!" Ready to eat healthy, fresh, and local? Give the perfect gift of Cecil Farms PD.